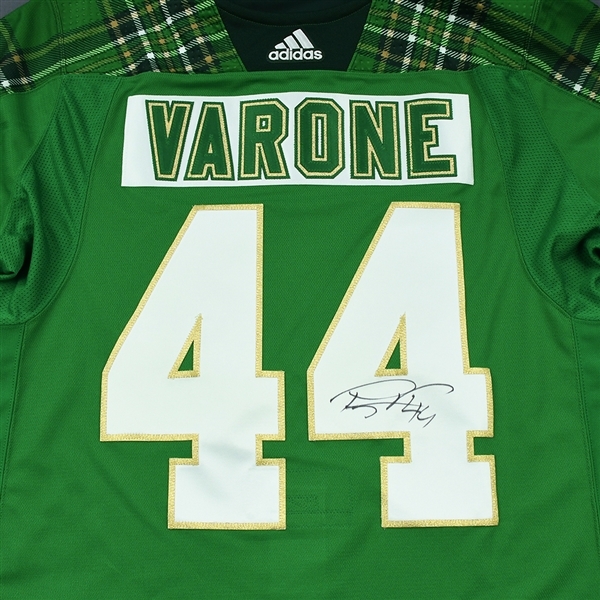 The Flyers-MeiGray Group Game-Worn Jersey Authentication Program is proud to offer fans and collectors across the globe the opportunity to own a piece of history ... the actual jersey worn by #44 Phil Varone of the Philadelphia Flyers during pre-game warm-ups prior to the Flyers' St. Patrick’s Day game. The jersey was autographed by Varone after it was worn. This green jersey is a 54 and is registered into the Flyers-MeiGray Game-Worn Jersey Authentication Program as number R05625. 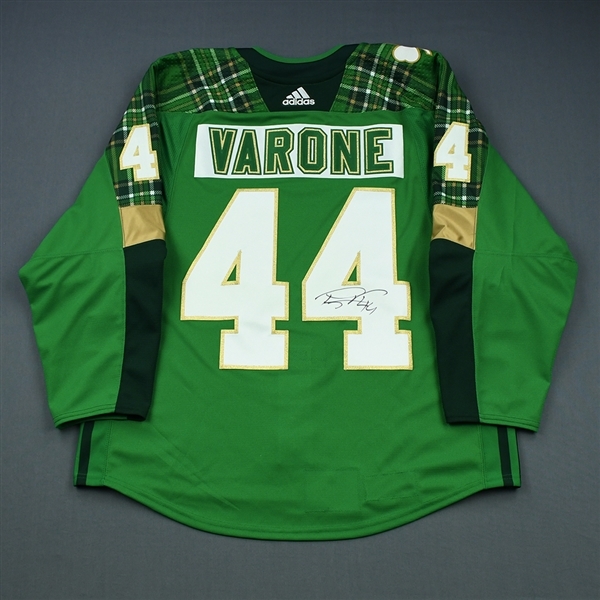 All winning bidders pay shipping charges and are responsible for all tariffs, taxes, duties and any other additional costs associated with shipping inside or outside of North America. 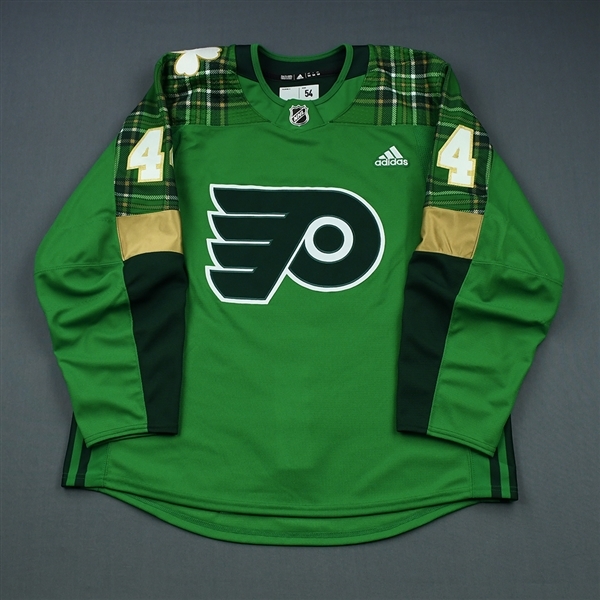 Welcome to the Philadelphia Flyers St. Patrick’s Day Auction! The Flyers-MeiGray Group Game-Worn Jersey Authentication Program is proud to offer fans and collectors across the globe the opportunity to own a piece of history ... the actual jersey worn by #44 Phil Varone of the Philadelphia Flyers during pre-game warm-ups prior to the Flyers' St. Patrick’s Day game. 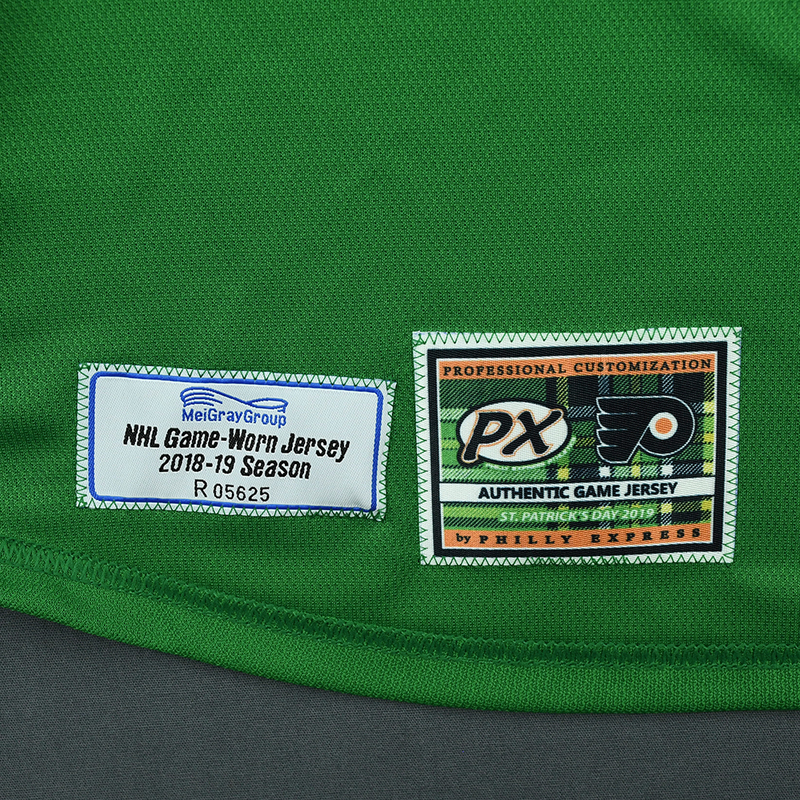 The jersey was autographed by Couturier after it was worn.